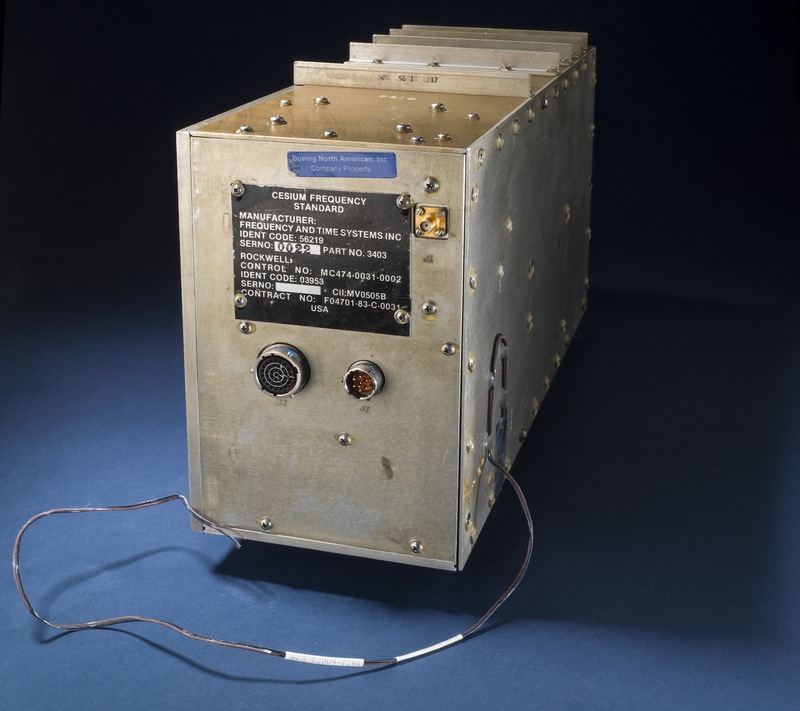 This atomic clock was built for the first GPS satellites in the late 1970s. Each satellite contains a suite of such clocks to maintain the correct frequencies to transmit signals for time and position. Based on the element cesium, this clock underwent extended miniaturization and testing to become useful in space.